Most of the digital cameras these days are designed to offer very high picture resolution. They produce crystal clear images but the image size also goes as high as up to tens of megabytes. It is not possible to share such heavy images on other devices. You may also waste lots of bandwidth and time to upload these photos to online libraries. The best idea to deal with this heavy image size trouble is to find ways to lower down the image resolution. You can do it easily by simply converting them to other size efficient formats before uploading or emailing them. The great news is that you can even reduce a 10MB file to a 1MB file without facing a noticeable loss of quality. In order to do this, you have to use right tools to initiate conversion so that images can be easily restored in another file format. There are so many apps that can offer you the ability to resize multiple images at a time as well; so they can help you to save much of your time. Below we have highlighted 15 most popular freeware tools that can help you to reduce the size of images on Windows, Mac OS, and Linux platform. Supported Formats: BMP, JPG, GIF, TIFF, MP3, MOV, AVI, and many more. IrfanView is an excellent image editor with lots of impressive features. It allows users to edit, rename, resize, convert and adjust several images together. In order to resize your batch files, simply go to the file, choose “Batch Conversion/Rename”, drag images from top part of the window to the input area. Choose batch actions and hit the start batch option to initiate selected editing task. It can also be used for fine-tuning of image colors, but the only drawback is that the interface is not much user-friendly. This simple and basic editing tool has few valuable features to offer. Although it is commonly used for image resizing, users can also add various effects to their images using this tool and files can also be converted to other formats with ease. To resize your multiple images using PhotoMagician, simply add all photos to the input folder and then specify the output folder for saving processed images. Do desired basic settings and then hit Process Image buttons. There is no help available for this software tool so beginners may find it little difficult to use. Supported Formats: BMP, JPG, PNG, TIF and many more. This user-friendly software tool handles all popular media file formats with ease and the most awesome thing to know about this tool is its ability to duplicate folder hierarchies. Phatch can be used to rotate, resize, apply perspective, shadows and rounded corners to images. The official website of Phatch is loaded with lots of documents that offer easy to understand instructions about all activities that can be performed on this software. Beginners may find this data quite useful to learn the advanced features of Phatch. While doing batch processing, users simply need to select files to be processed, then enter editing specifications manually and finally hit the save button. Supported Formats: JPEG, Raw, SVG and 500 more. Supported Systems: Window/ Linux/ Mac OS. There are lots of amazing things to do on this awesome image editing platform. You can choose metadata editing feature, choose transforms like resize, crop and rotate etc options. XnConvert also allows users to do fine adjustments for images by adjusting saturation, contrast and brightness levels. You can also enhance the appearance of images by using advanced filters and effects. The best thing to know about this user-friendly editor is that it is currently available in more than 20 languages so anyone can access it with ease. To process your batch files, add them to the input tab and then choose required actions from the action tab. Set the output file details at output tab and then initiate changes. It will be soon highlighted in the preview window that you can save with ease. Supported Formats: GIF, PNG, JPG, TIFF, BMP, and many more. BIMP is little-complicated choice for your image resizing needs. Although it is a feature-rich batch editor, the installation process is quite annoying. This software does not come alone, rather it installed two additional programs to the system. Don’t hit next, next buttons blindly, prefer to read all instructions to keep your device secure. 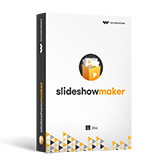 This tool can be used to convert files, add customized watermarks, resize, convert and rename images. Users can simply choose the batch images and upload them quickly to the application for editing. Choose desired action to be performed and initiate the changes. You can define image dimensions manually to create customized photos. This lightweight software takes very less time to process various batches of media files. Supported Formats: JPEG 2000, TIFF, PNG, BMP and JPEG. FastStone is a popularly used image resize that allows users to edit individual images as well as can process batch collections. This tool can help you to convert file formats of various media inputs and can also be used to rename batch files. With this simple tool, you can easily convert batch files to another file format with few clicks of the mouse. Simply choose your images and then go to the advanced options on the screen. From the wide range of features, chose desired effects like color adjustments, rotation, resizing and many more. If you want to use same options again and again, they can also be saved to a file for immediate access for upcoming conversions. Finally hit save button to get your output. The same procedure is followed for Batch Rename mode as well. The only disadvantage is that users cannot use the batch rename and batch convert feature at the same time. There are wide ranges of image resizing methods that can be used in Pixresizer. This software can also perform automatic recognition task to get the best file size. Many experts prefer to use this software tool to resize, rotate, convert images in batch collections. The great news for users is that it allows them to save the EXIF information for future needs. With all such impressive features, PIXresizer becomes the best choice for digital photographers and webmasters as well. It follows a simple four-step workflow that can be easily understood by beginners as well. In order to make the processing much easier, you can use apply recommended settings option simply. However, the smart ratio calculation feature allows users to adjust image properties to get professional results. Many users also prefer to use this tool for creating thumbnails. Supported Formats: GIF and JPEG only. This image editing tool is commonly used by digital camera owners, travelers, webmasters and all those individuals who need an immediate solution to image resizing needs. It is best choice to resize images and send them to your near and dear ones via emails. The three-step image conversion process can be easily converted by simply selecting the image that is required to be processed. To do this you can use the browse option and then choose the preferred size of the output image; finally, hit the Okay button at the bottom portion and your file will be soon converted online. This image editor tool supports only two file formats and there are limited features as compared to other tools available in the market. Free and Pro version available. Supported Formats: TIF, GIF, PNG, JPG, BMP etc. This image editor tool is popular among professionals due to its interesting resizing and conversion related features. There are numbers of customized resizing options along with several useful presets that anyone can access with ease. Users can also keep XMP tags and JPEG Exif on this tool. Fotosizer is currently available in several languages and is commonly accessed at different corners of the world. The editing system is quite advanced where users can easily select numbers of output formats to convert files. The 10 mask patterns and 6 preset can be combined to achieve best details. The batch conversion process is quite easier, you can choose your images, select resize settings from available presets or customize them by directly entering width and height in %; ultimately hit the processing button to initiate desired changes. Supported Formats: PDF, ICNS, ICO, TGA, BMP, GIF, PNG, TIFF, and JPEG etc. Supported Systems: Online Editing App. This free online editing tool is more popular among digital camera owners. It can handle maximum file size of 3MB and extends support to more than 400 file formats for easy conversion. This online editor offers the fastest way to convert images into another preferred format, it can also rotate, crop and resize them with ease. FixPicture also allows users to edit images with additional effects like normalize, emboss, sharpen, blur and grayscale. In order to process your files, you can browse them easily from your PC and then select output format. The quality of the output image can also be rated as good, better or best with variable output file size. Make desired selections and then hit the convert option. This too may take time to process heavier images and the speed also depends upon the speed of your internet connection. You will be happy to hear that FileMinimizer Picture software tool has the ability to reduce the size of your JPEG images from 5MB to 0.1MB with ease. It means you can achieve conversion up to 98% using this tool. This batch processing software assists in compression of whole galleries and photo albums at once. Users can easily select compression level out of 4 available options to get the best outcome. The easy to access drag and drop features make this tool more useful for editors. You can add multiple images to the conversion list at once and then choose desired features for optimized files; adjust all settings and finally hit the optimize file option to initiate action. Supported Formats: BMP, JPG, TIFF, PNG, and many more. This easy to access batch processing system offers easy editing services to professional editors as well as beginners. You can easily select your editing requirements to process heavy images. The conversion process is quite easier. All that you need to do is choose input file images, then select desired width and height to get the customized image, Choose output file format and hit Update and Resize option. Users can also apply additional effects such as color effect, flipping action and rotation as per need. It needs around 4MB installation space on your disk. Supported Formats: BMP, PSD, MAT, GIF, MPC, JPG and many more. Image Converter.EXE is known as a flexible and fast image processing system that follows efficient conversion program while extending support to 55 output formats and 110 input formats. There are 40 different effects for easy selection and they can also be applied to batch mode. The easy to use step by step interface of this converter appears easy to use for beginners as well. The batch support of this advanced software tool can process thousands of images at once. You can select all your desired files and load them to system window. Choose desired effects and conversion formats and allow conversion. Supported Formats: BMP, GIF, PNG, and JPEG etc. This lightweight file converter is commonly used for batch processing of various images based on EasyBMP and LibGD libraries. It can assist users to initiate direct conversion between various file formats without waiting so long. Image batch can also help you to rotate, clip, crop and resize images; the unique thing is its ability to add watermarks as well. There is no need to install this tool on your window PC; it can work efficiently without installation. You can choose your files now, do basic settings for output file format and execute a process to get converted file. Supported Formats: JPEG, BMP PNG, JPG, and TIFF etc. This system is quite easier to access with its simple drag and drop features that can be used by beginners with ease. You can find this software online with well designed and easy to understand user guide. There is multiple images resizing options with easy adjustments of desktop, fit, percentage, height, width etc. There are so many amazing things to do on this platform. Users can simply select their multiple input files, add desired output specifications, provide destination storage address and hit the convert option. Special Note:After you tried these batch image resizers, I believe there are many beautiful photos at your hand . Under this situation, if you want to futher do somethig for your these bath photos, then you could try a newly relaeased product Fotophire Slideshow Maker . This program could turn your photos into amazing slideshow in seconds. with 3 simple steps , you could enjoy the animated slideshow with music or other effects ! Come on, just come to try it's free trial ! With all these amazing tools, photo resizing and conversion task become quite easier. You can choose any of the available software for your system and start experimenting right now. However, if you need an advanced solution for your editing needs, you can go for Fotophire. This software tool can also process batch images but at the same time, it offers many other interesting editing abilities as well.